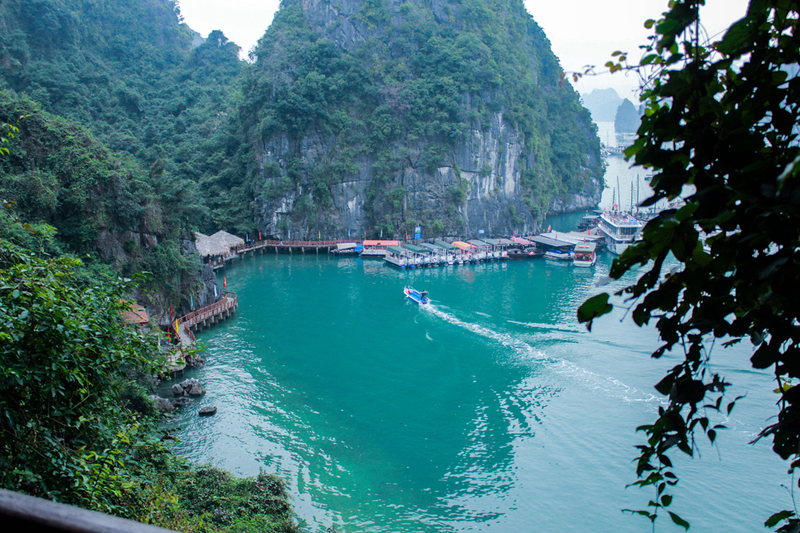 The Picturesque Ha Long Bay - cat'elle. 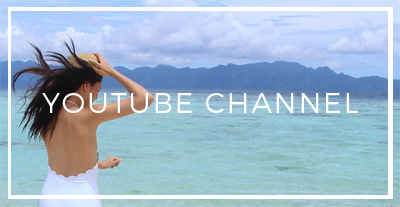 Here it is: my final post on my little Vietnam adventure. 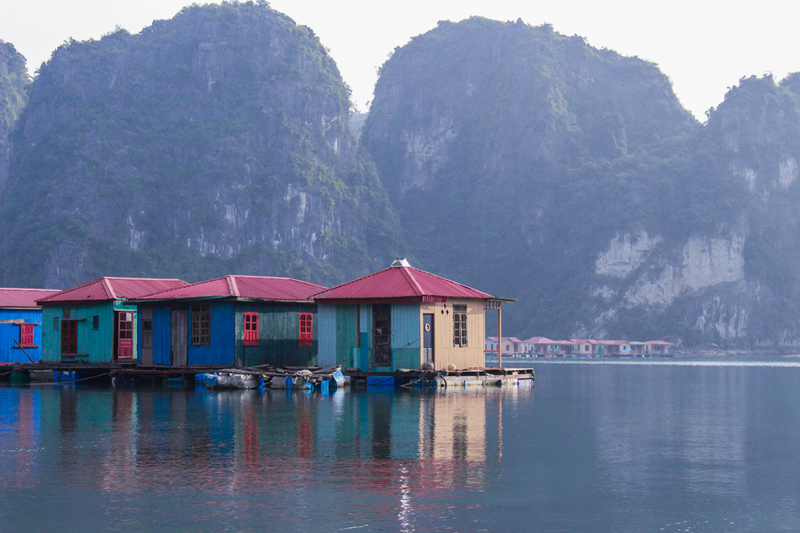 Looking back on the photos, though beautiful, they really cannot translate the epic beauty of Ha Long Bay: the peacefulness, the serene landscape… it really is a sight to put on your bucket list. 1. We completed the two day, overnight cruise with Kangaroo Cafe. 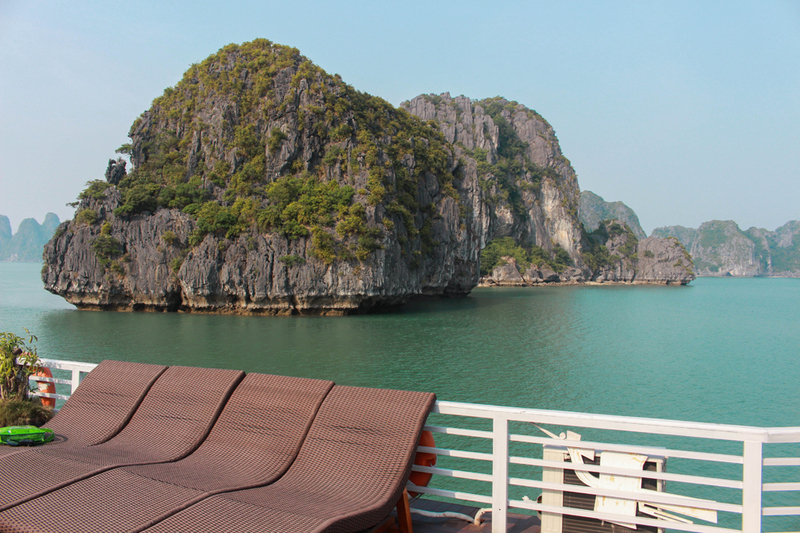 After a three-hour bus ride to the port, we boarded our boat and set off through the large rock formations of Ha Long Bay. The weather, luckily, had cleared to reveal the only blue sky we saw the whole five days of our trip in Vietnam and amazingly, the sun had chosen the best day possible. 2. 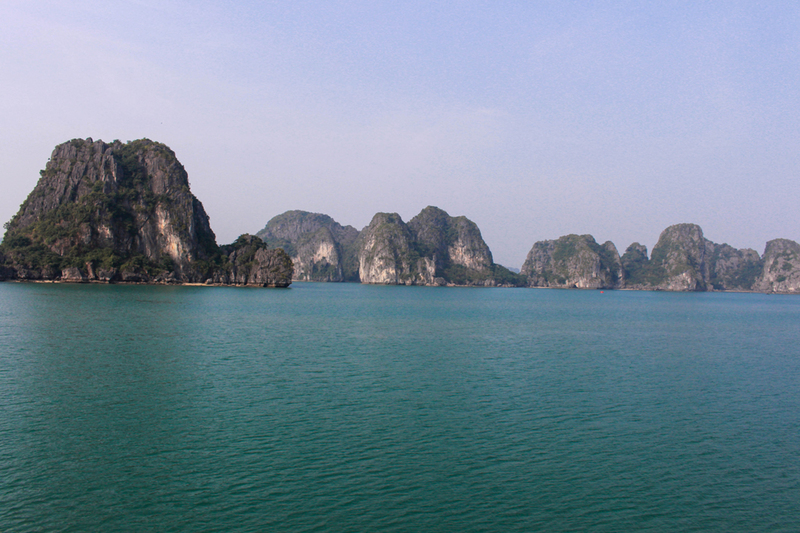 The beauty of Ha Long Bay against clear blue skies. Notice how the water is like glass despite constant, chilly winds. 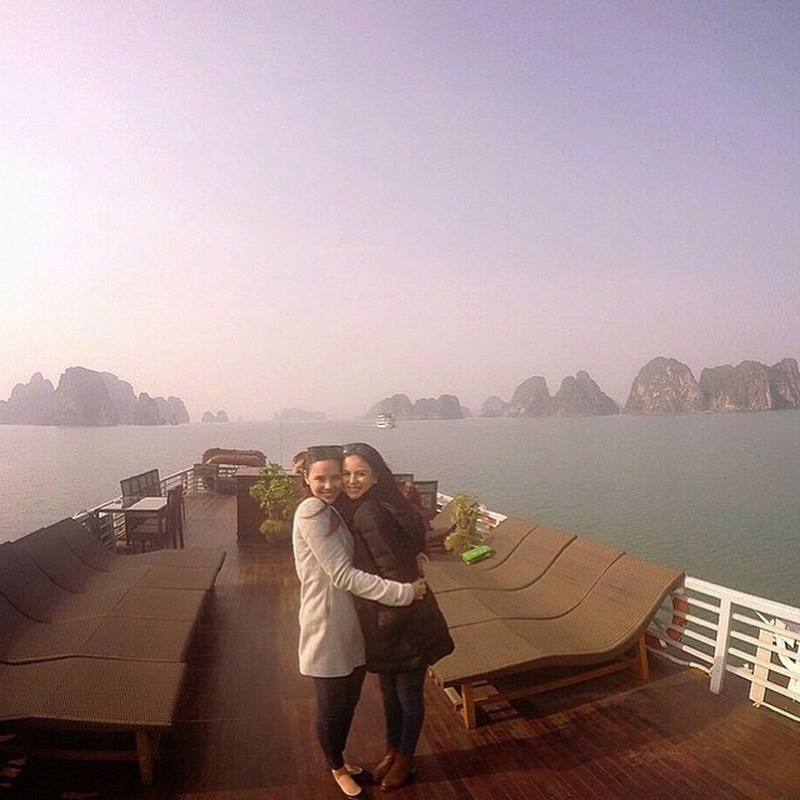 Our boat had a roof deck with sun chairs so we happily piled on wrapped in warm-wear, willing to brave the bitting cold to witness the awing, grand beauty of Ha Long Bay. 6. 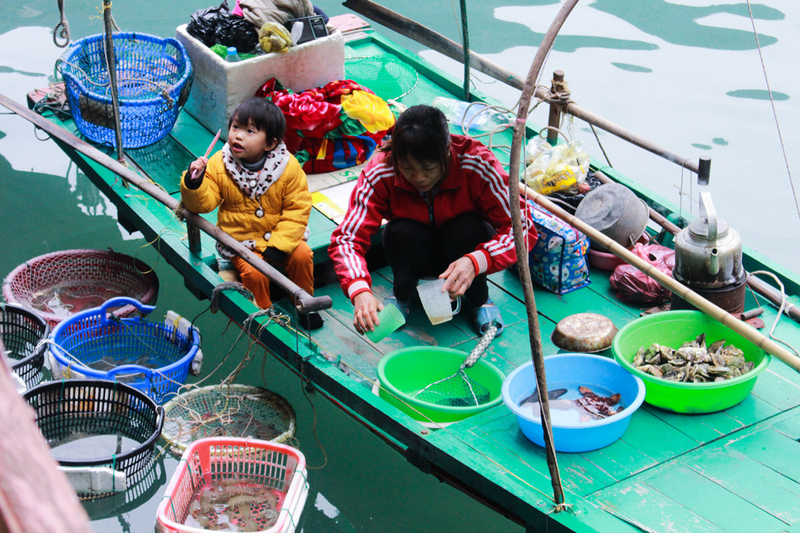 The first part of the tour was to visit a local fishing village. 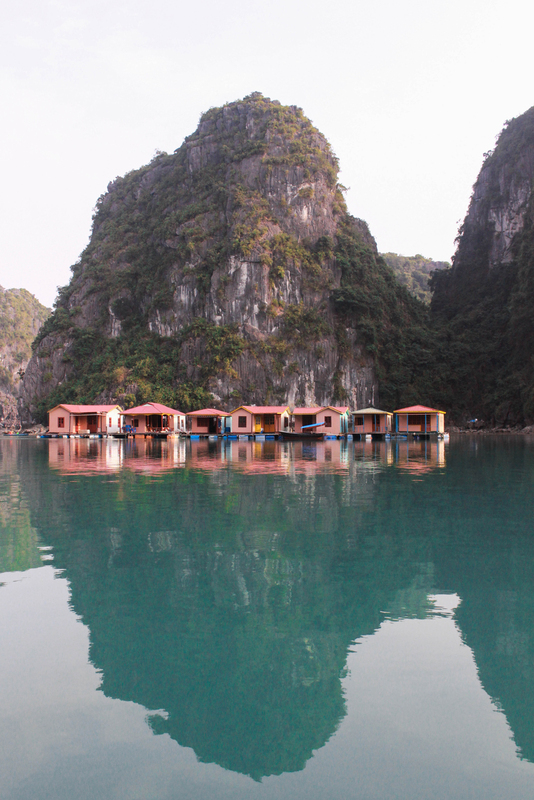 I was expecting to see a small village perched on the side of one of the large, mountainous, formations however I soon discovered that the village itself was merely made up of clusters of small houses floating on the water. Aside from that, I was surprised to see bright coloured, square little homes. 7. We ‘rowed’ in a large circle around the formations. 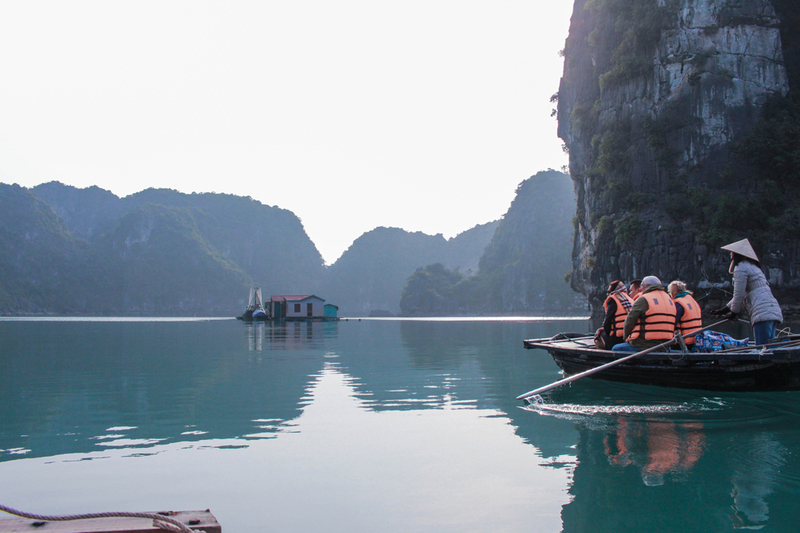 Looking up, it was humbling to see the beauty of Ha Long Bay up close. The water was like oil – so calm and smooth which was accompanied by complete silence aside from the faint cry of an eagle in the distance. Oddly, I felt rejuvenated after the boat ride. 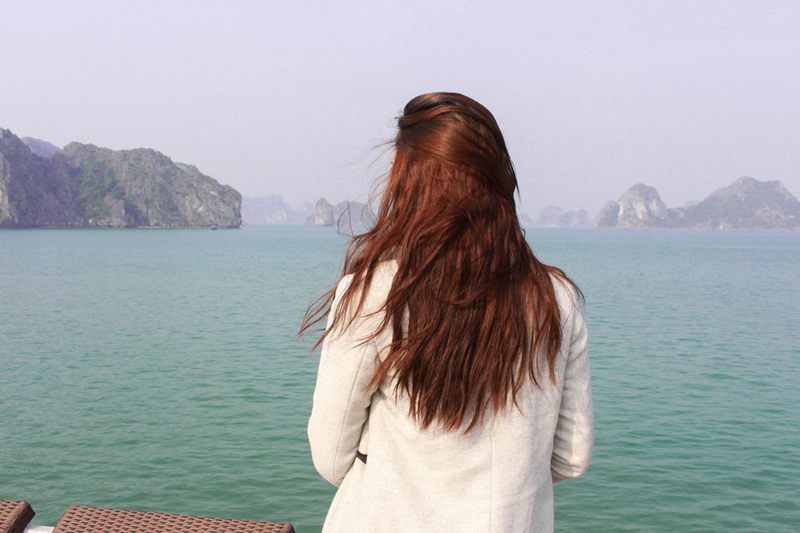 It must have been the fresh, cool air, the perfect silence and the awing beauty of Ha Long Bay. Ah, remembering it makes me want to just transport back to that place. 9. 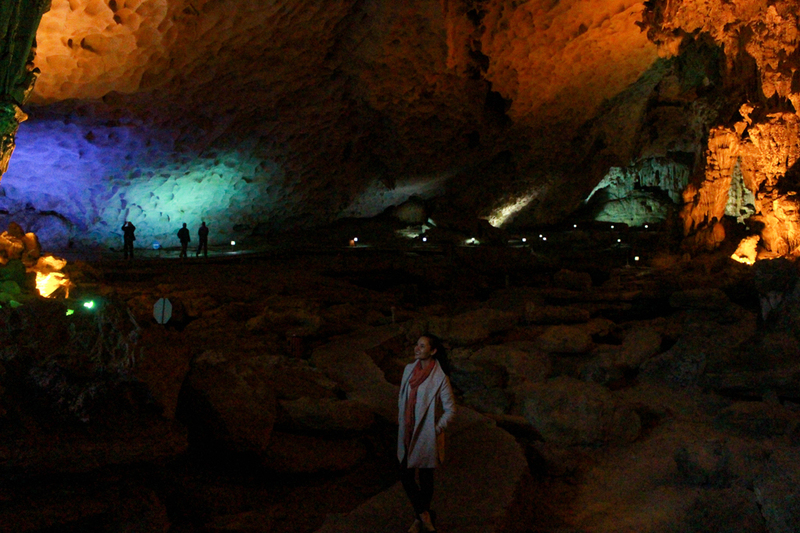 Next on our tour agenda was to visit the largest cave in the Bay. The picture below is a picture from the entrance of the cave perched upon the cliff face. 11. As you can see from the pictures, the hollow of the cave was really impressive. The cave was complete with railings, stairs and pathways allowing one to be able to fully experience the scenic cave safely and effortlessly. There was also rock formations that the tour guides pointed out that were naturally formed to resemble Buddha, a turtle and a dragon (to name a few) which I thought was very cool. 12. 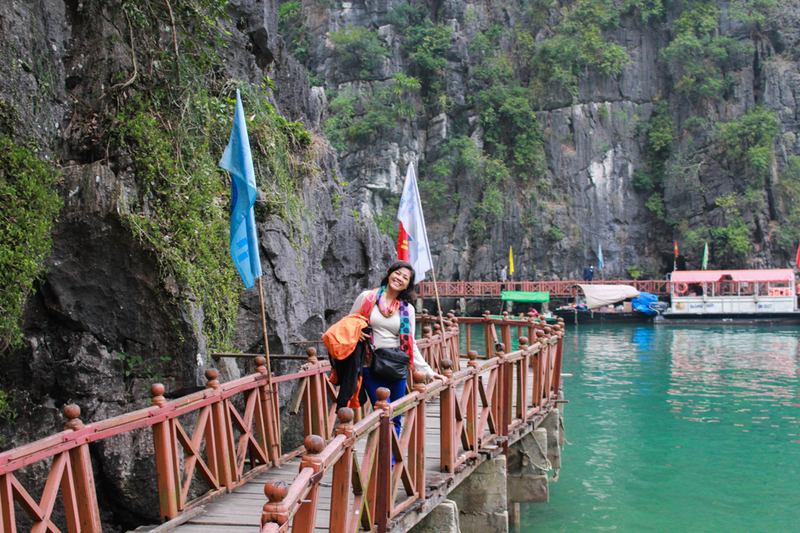 On the bridge leading away from the cave and back to the boat. A small vendor selling fresh seafood. 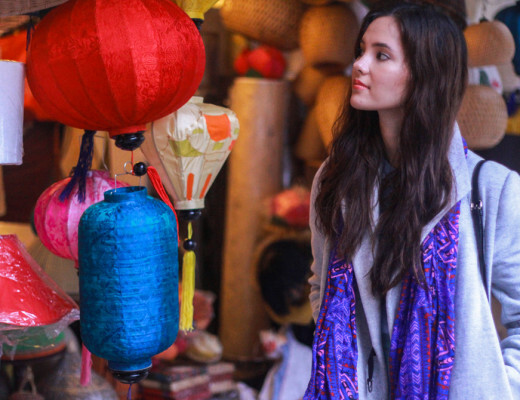 The next day, we returned to the port of Hanoi and returned to the city only to fly out late at night back to Manila. 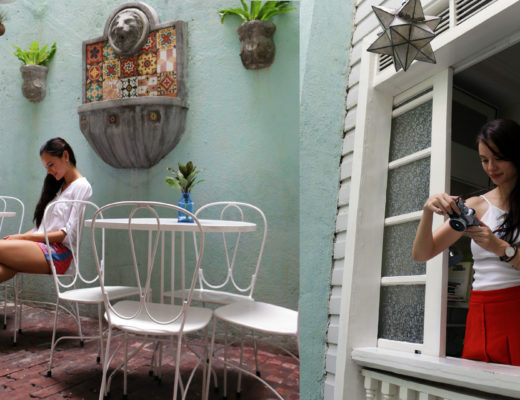 My adventure in Hanoi was definitely one to be remembered and I definitely recommend my fellow Filipinos as a travel destination. 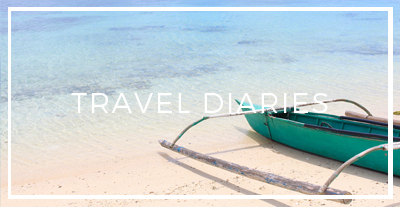 After all, a life well travelled is a life well lived.